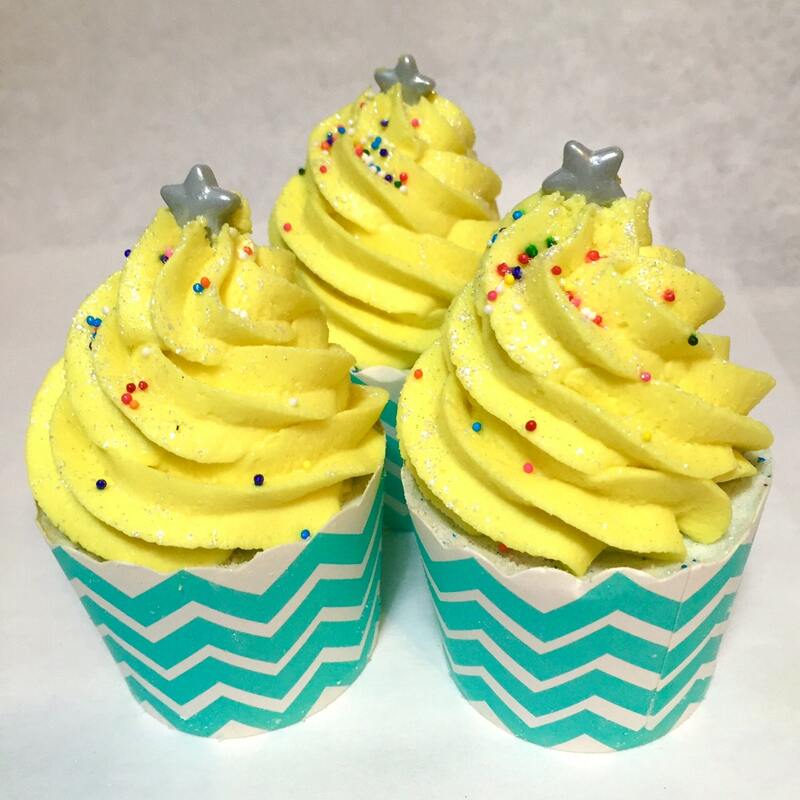 If you've seen the adorable piped cupcake bubble bath bombs and you're dying to make these for yourself, you're in the right place! I have cracked the code on getting solid bubble bath to pipe like cupcake frosting & still dry very hard. My recipe doesn't contain meringue powder, royal icing, melt & pour soap, sugar or expensive foaming bath whip or bath butter. 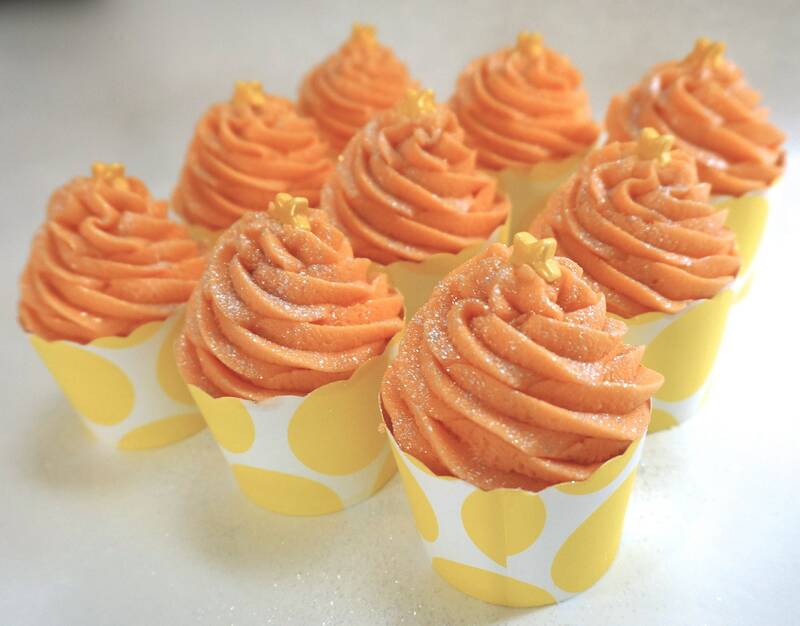 Now, you can make these adorable bath treats at home! 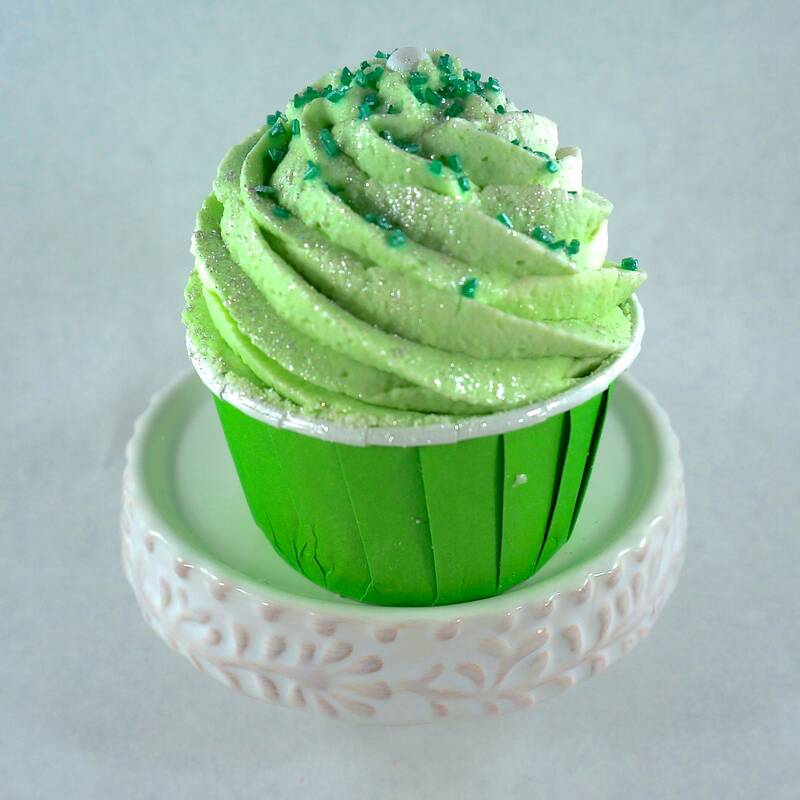 *A recipe & guide for the "cake" portion of the cupcake which is a bubbling bath bomb. It foams & fizzes like mad! Also included are how to make color embeds for "confetti cake." It's a long fizzing, foaming bomb. 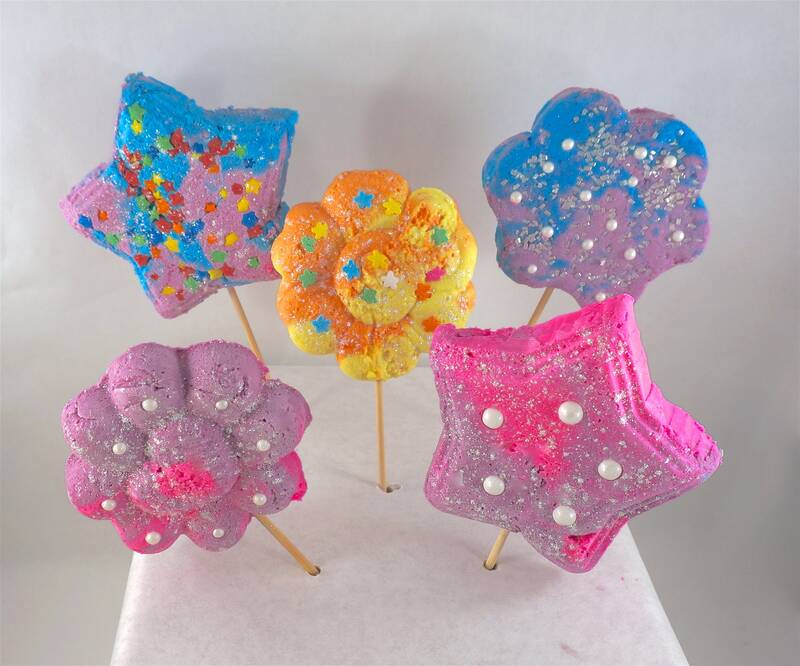 *There are BONUS directions on how to use the frosting recipe to make your own reusable bubble wands and a powdered product called Bubbles & Fizz Fusion! 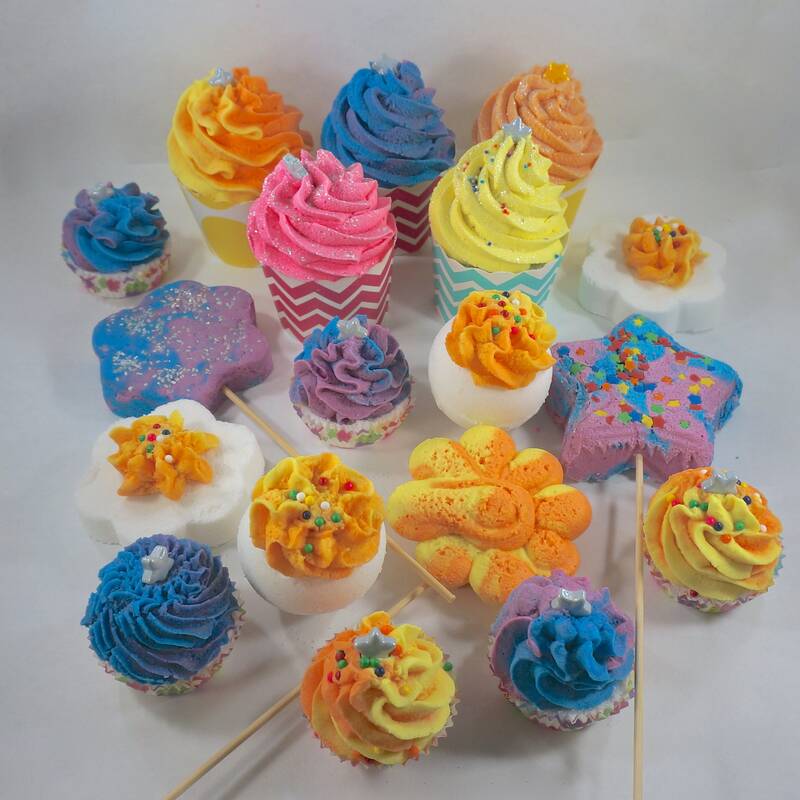 The frosting dries very hard and is perfect for making bubble wands. *11 pages total jam packed with step by step detailed info & lots of tips & pictures so you're guaranteed success! You'll need a stand mixer or hand mixer for the frosting & piping bags & jumbo or large frosting tips. You'll need the hard sided cardboard cupcake cups or nut cups for the "cake" because they don't fall off like the thin papers do. Party supply places, Amazon, baker's supply places & hobby stores have these in the cake decorating section. This is a digital download. No other items included. PLEASE NOTE: I would like people to know the nature this recipe before they buy. The downside to this frosting recipe is you have to move fast & have a limited time piping. 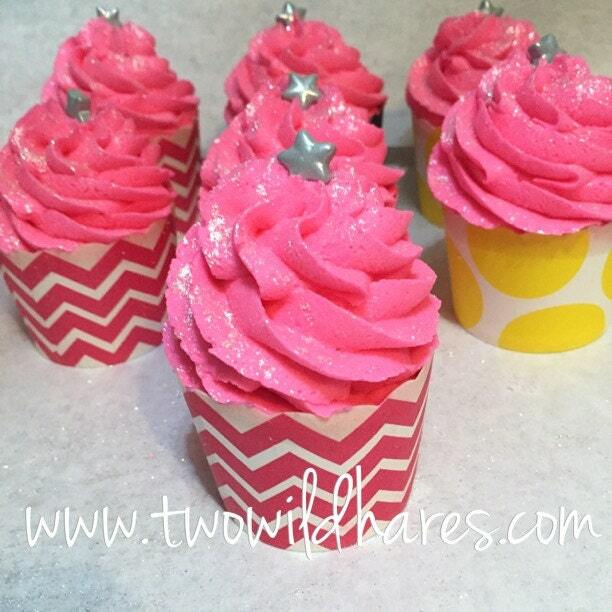 You may not be able to do more than 2 colors in one frosting batch/piping bag. I recommend only 1 color for the first batches. Once your liquid ingredients hit the dry, you have to bag the frosting all at once to limit exposure to the air & then pipe fast. The PLUS side to this recipe is that the frosting dries very hard & survives shipping. I designed this recipe to give as much time as possible to pipe without compromising the firmness but you don't have time to play with this like my rollable solid bubble bath recipe. To me, the limitations are worth the result since I ship all my products and drying hard was my primary concern. In 24 hours, you can package these. They can be sold at a day old in shops & shipped when they are 3 days old. If you want a recipe that gives you tons of time to play and do intricate color combinations, this one isn't it! FBW recipes give tons of time to play, but they don't dry. 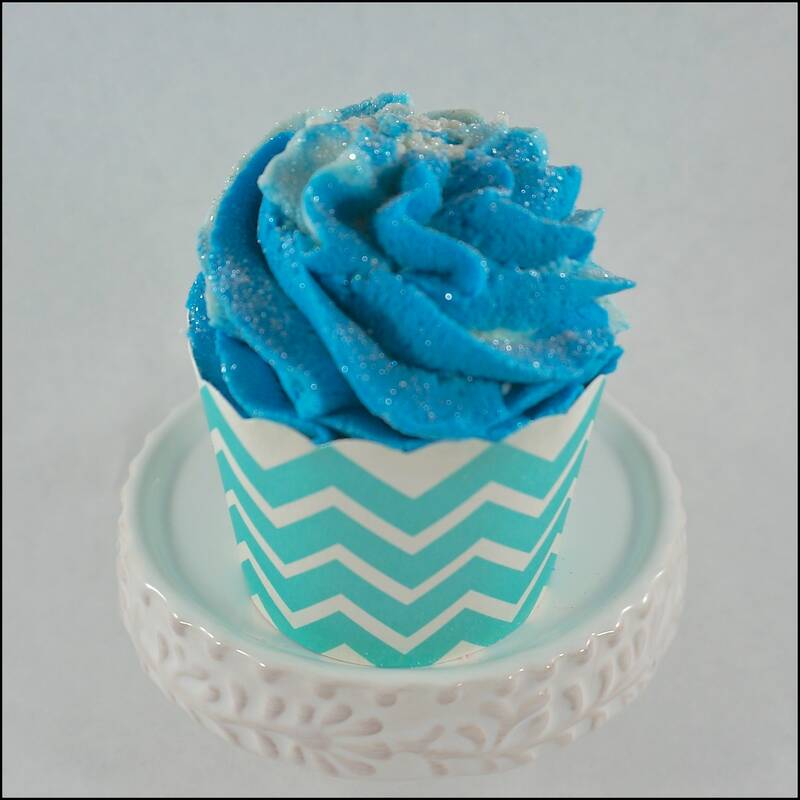 This recipe is my solution to frosting recipes that never dry hard, but this is a recipe for the more experienced bath & body crafter. 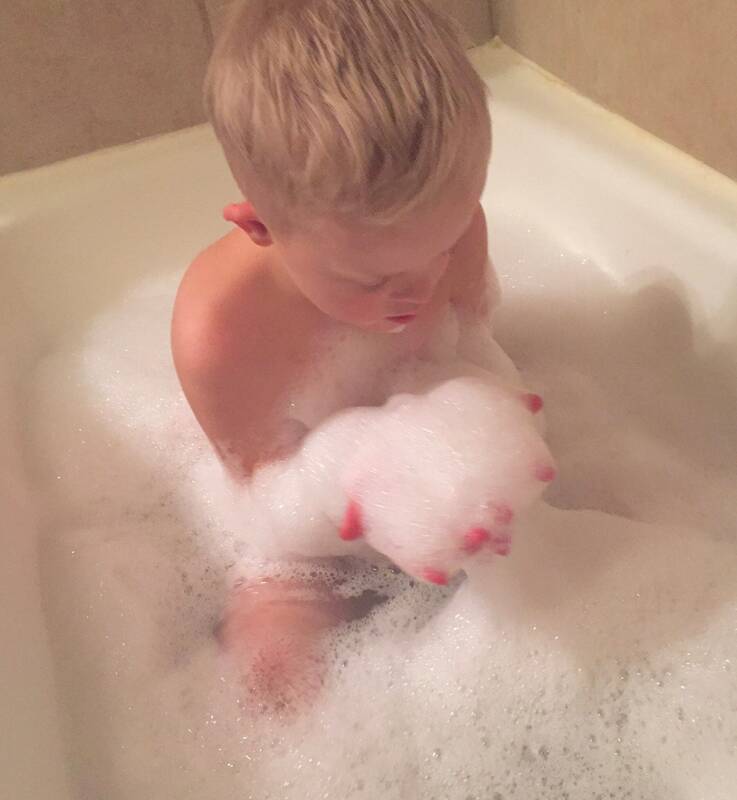 It isn't as simple as my rollable solid bubble bath, which I feel like anyone can make. If you want a more simple recipe, try that one instead. Piping experience & speed will help you tremendously with this recipe. I recommend considering halving the batch for your first attempt to limit any ingredient losses. I'm happy to help you trouble shoot if you have any issues. Be sure to read all the tips in the recipe before you start & DO NOT make ingredient substitutions. It's not friendly to subs. SHARE! I'd love to see your creations! Share your results with me at twhsoap [!at] gmail.com. I appreciate those who've told other soapers and shared on FB groups as well. Thank you, thank you! Your shares on social media are very appreciated. 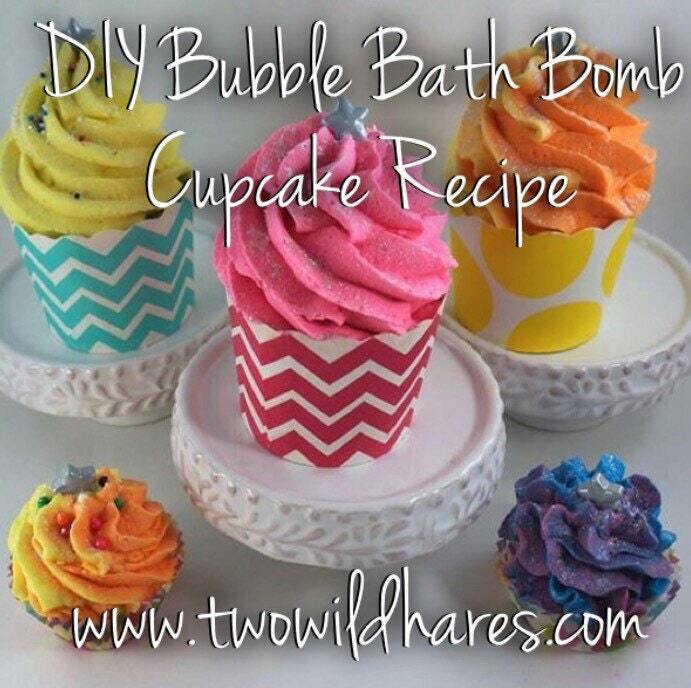 Have fun being creative & making my Bubble Bath Bomb Cupcakes your own! PLEASE NOTE: This purchase is only to be be used by the purchaser. It's a one person download. To share with friends or family is against copyright law. Formulators make their money back on their time & throwing expensive ingredients away formulating & troubleshooting with customers by selling their finished recipes. In order for me to continue formulating great recipes to share with bath & body crafters to support their business, please understand the nature of my business & if anyone asks for the recipe, please direct them to my Etsy download. This is non-refundable, all sales final. Please respect digital property laws. DISCLAIMER: All recipes made, used & sold at your own risk. Please educate yourself in safe cosmetic making practices including sanitization, proper preservation, handling, packaging & shelf life before making and selling any bath & body products. 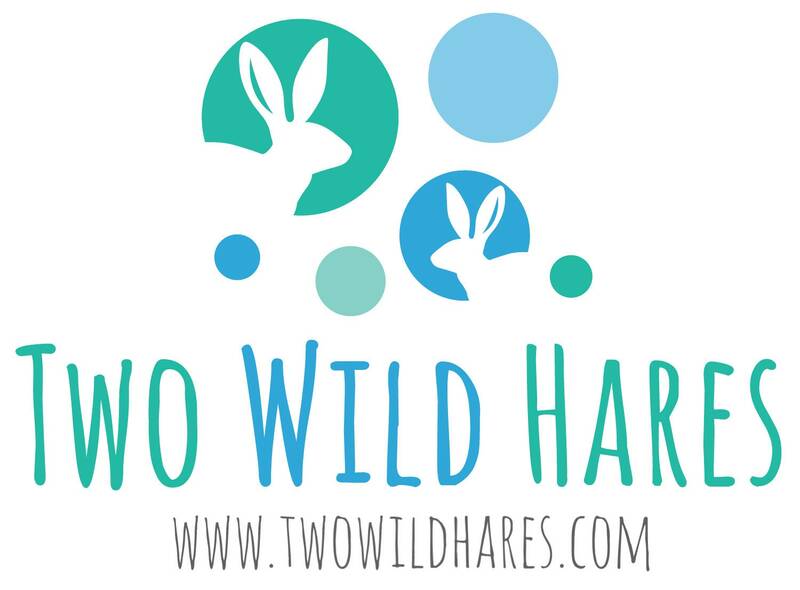 Copyright 2018, Nicole Gallagher, Two Wild Hares. All rights reserved. Pictures, recipe & instructions may not be reproduced or distributed in any form without written permission. I really love all of their recipes. Perfect! Super quick delivery! Thanks! This was an instant download so no shipping issue. I can really use this recipe. Glad it was available.